I think ALTA is the most phenomenal tennis league in the world. 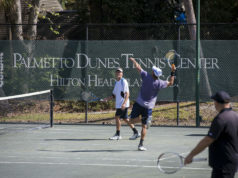 With more than 60,000 players, it is a great vehicle to get neighbors involved in tennis and make new friends. That being said, I believe the subject of tennis etiquette or protocol needs to be addressed so that players have a better overall experience. Many years ago, I brought up the concept of court protocol to one of my teams. One of the players remarked, “You mean ‘snoot-ocol,’ don’t you?” It is unfortunate that some players feel that observing good manners tethers them to ancient country club bylaws. What makes ALTA unique is the fact that 80 percent of the players are from subdivisions and did not develop in a club environment. In other parts of the country, beginners are brought up slowly, becoming well versed not only in stroke production, but etiquette as well. 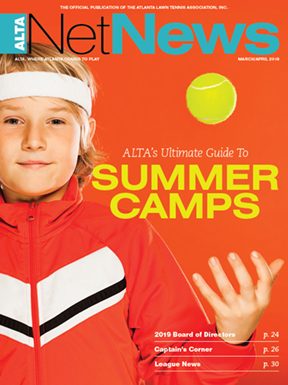 I think one of ALTA’s greatest strengths is that it provides a venue for beginners to enjoy competition at the appropriate level, but the underlying weakness is that those players are seldom exposed to proper ways to behave on the tennis court. 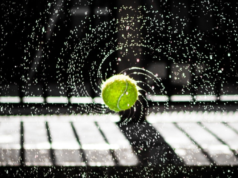 Without going into detail about all the many rules of tennis etiquette, these are some biggies I thought would provide a much-needed reminder when players are in the heat of competition. I polled a number of my students, and this was the consensus winner for behavior they disliked the most. If you and your partner/opponents are assigned to court 2 while play is taking place on court 1, you are supposed to wait until a change over before you walk behind their court. 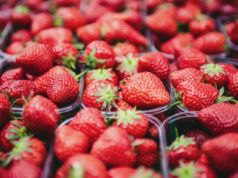 Please bring everything you need with you, including water, fruit and bandages; refrain from calling out to teammates for more supplies across court 1, or doing anything that would interrupt their match. If one of your teammates hits a great shot, you should definitely let them know it. The thing that appalls me is when teams cheer opponents’ errors. If the opposing team so much as ticks the ball slightly with their racquet, it is not a winner, and should not be applauded. My wife, Lisa, told me about a circumstance where one of her team’s players double-faulted on set point, whereby the other team starting going nuts, hooting and hollering and high-fiving each other. I suspect this is not an isolated circumstance. 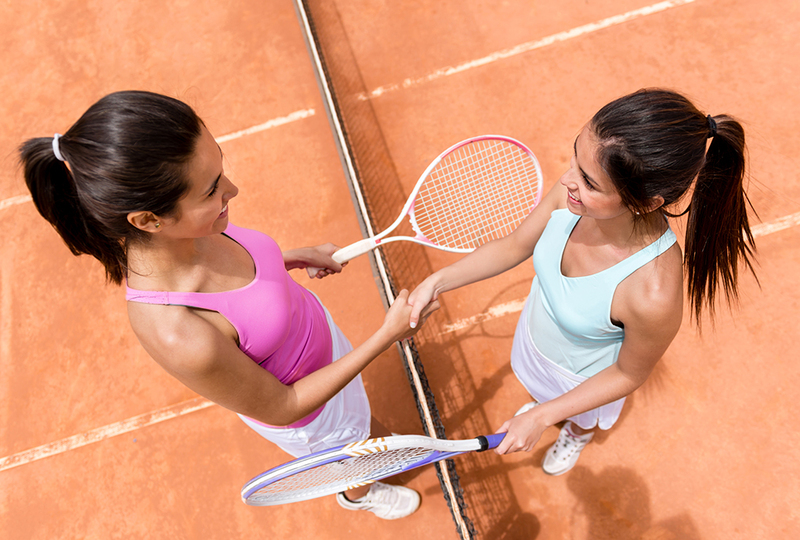 Letting your partner know you have confidence in him allows him to play his best tennis, thus enhancing your ability to win. It is easy to be complimentary if your partner is playing well, but masterful doubles players know how to pump a partner up if he or she misses a shot or is not playing well. Instead of giving your partner the silent treatment after he misses an easy overhead, say something like, “Hey, you hit that clean, try it again and I’ll bet you make the next one!” Communicate with your partner about tactics, but do not give her a lesson on how she could better hit her forehand. Remember, the warm-up is both for you and your opponents, so everyone should be hitting medium-pace balls to each other. This means no slamming balls for winners, including overhead smashes. When everyone elects to take serves, do not return the ball when served; instead, stop it with your racquet until all the serves are hit, and then serve the balls back. And by the way, keep the time of the warm-up to around 15 minutes. A ball that is 99 percent out is 100 percent in. Calls should be immediate and you should give your opponents a verbal and/or visual call and they should provide you the same courtesy. Here is a situation I see frequently that causes a lot of resentment: Your team is down 15-30, and the opposing team serves to you in the ad court. After a long, exciting point your partner hits a great lob that apparently lands smack-dab on the baseline. Your opponents are unable to get to the ball and make no call. Your team wins the next two points, so you figure that is your game. Your opponents then inform you, “No, it’s deuce. Your lob at 15-30 was out.” This is where you need to ask your opponents for a verbal/visual call. ALTA has a great rule regarding parents contacting their players during a match: There is no contact. I have seen circumstances where parents are trying to correct what they perceive is an incorrect score. They are well intentioned, but the rule is, they cannot say anything to their player(s). If everybody starts extending some of these simple courtesies toward their partners and opponents, everyone will have far more enjoyable experience, and ALTA will continue to grow and prosper in the spirit of good will and good manners. John Irvin is a PTR-US certified tennis pro at Legacy Park who has helped develop more than 100 ranked players.